What can I do to improve after completing Handwriting For Heroes course? Recently someone asked about what to do to keep writing after she completed the entire Handwriting for Heroes workbook. What a WONDERFUL question! This question means two important things: (1) she finished the program successfully and (2) she wants to write MORE! 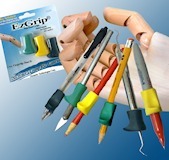 Feel free to go back through Handwriting for Heroes and re-do any of the homework activities that interest you. 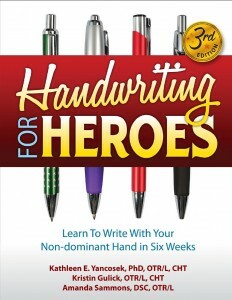 Previous Previous post: Handwriting for Heroes 3rd Ed. now available!